２．日本水産海洋学会論文賞（平成２１年４月）H. Nishikawa and I. Yasuda, 2008: Variation of Japanese sardine (Sardinops melanostictus) mortality in relation to the winter mixed layer in the Kuroshio Extension. Fish. Oceanogr. 17(5), 411-420. ３．日本水産海洋学会論文賞（平成２２年４月）Itoh, S., I. Yasuda, H. Nishikawa, H. Sasaki and Y. Sasai (2009), Transport and environmental temperature variability of eggs and larvae of the Japanese anchovy (Engraulis japonicus) and Japanese sardine (Sardinops melanostictus) in the western North Pacific estimated via numerical particle tracking experiments. Fish. Oceanogr., 18(2), 118-133. 2005 3 増島雅親　日本海洋学会奨励論文賞　Transport of Oyashio water across the Subsurface Font into the Mixed Water Region and formation of NPIW. J.O., 59, 855-869, 2003. 2007 10 建部洋晶　PICES-MONITOR best presentation　共著 H. Tatebe, I. Yasuda and H. Saito, Numerical experiment of horizontal transport of Neocalanus copepods in the subarctic and northern subtropical North Pacific using numerical models. 2009 4 西川悠　安田一郎　日本水産海洋学会論文賞　H. Nishikawa and I. Yasuda, 2008: Variation of Japanese sardine (Sardinops melanostictus) mortality in relation to the winter mixed layer in the Kuroshio Extension. Fish. Oceanogr. 17(5), 411-420. 14) 5 T. Ono, I. Yasuda, H. Narita and S.Tsunogai, 1998: Chemical alternation of waters in the Kuroshio-Oyashio interfrontal zone. J. Oceanogr., 54, 681-694. 15) 35 7) I. Yasuda, H. Sugisaki, Y.Watanabe, S. Minobe and Y. Oozeki, 1999: Interdecadal variations in Japanese sardine and ocean/climate. Fish. Oceanogr., 8, 18-24. 16) 42 6) M. Noto and I. Yasuda, 1999: Population decline of the Japanese sardine with relation to the sea-surface temperature in the Kuroshio Extension. Can. J. Fish. Aqua. Sci, 56, 973-983. 17) K. Katsumata and I. Yasuda, 1999: Water exchange between the Okhotsk Sea and the North Pacific Ocean estimated by simple models. 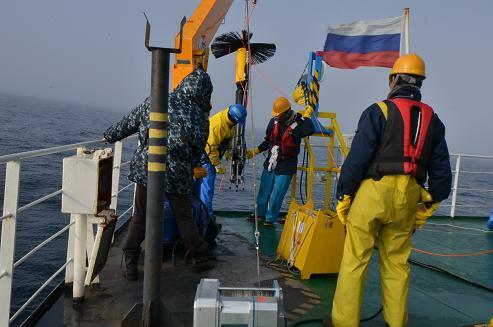 PICES Scientific Report: Okhotsk Sea and adjuscent areas., No. 12. 18) 27 13) Y. You, N. Suginohara, M. Fukasawa, I. Yasuda, I. Kaneko, H. Yoritaka and M. Kawamiya, 2000: Roles of the Okhotsk Sea and Gulf of Alaska in forming the North Pacific Intermediate Water. J. Geophys. Res., 105(C2), 3253-3280. 19) 32 10) I. Yasuda, S. Ito, Y. Shimizu, K. Ichikawa, K. Ueda, T. Honma, M. Uchiyama, K. Watanabe, T. Suno, K. Tanaka and K. Koizumi, 2000: Cold-core anti-cyclonic eddies south of the Bussol' Strait in the north-western Subarctic Pacific. J. Phys. Oceanogr., 30, 1137-1157. 20) 31 12) H. Ueno and I. Yasuda, 2000: Distribution and formation of the mesothermal structures (temperature inversions) in the North Pacific Subarctic Regions. J. Geophys. Res., 105 (C7), 16885-16898. 21) 22 15) I. Yasuda, T. Tozuka, M. Noto and S. Kouketsu 2000: Heat balance and regime shifts of the mixed layer in the Kuroshio Extension. Progress in Oceanogr., 47, 257-278. 22) 14 22) K. Katsumata, I. Yasuda, and Y. Kawasaki, 2001, Direct current measurements in Krusensterna Strait in summer. Geophys. Res. Letters, 28, 319-322. 23) 16 20) K. Okuda, I. Yasuda, Y. Hiroe and Y. Shimizu, 2001, Structure of subsurface intrusion of the Oyashio water into the Kuroshio Extension and formation process of the North Pacific Intermediate Water. J. Oceanogr., 57, 121-140. 24) 11 26) T.M. Joyce, I. Yasuda, Y. Hiroe, K. Komatsu, K. Kawasaki and F. Bahr, 2001, Mixing in the meandering Kuroshio Extension & the formation of NPIW. J. Gephys. Res. 106(C3), 4397-4407. 25) 34 8) I. Yasuda, Y. Hiroe, K. Komatsu, K. Kawasaki, T.M. Joyce, F. Bahr and Y. Kawasaki, 2001: Hydrographic structure and transport of the Oyashio south of Hokkaido and the formation of the North Pacific Intermediate Water. J. Geophys. Res., 106(C4), 6931-6942. 26) 32 10) Y. Shimizu, I. Yasuda and S. Ito, 2001, Distribution and circulation of the coastal Oyashio intrusion. J. Phys. Oceanogr., 31(6), 1561-1578. 27) 7 H. Tatebe, and I. Yasuda, 2001, Seasonal axis migration of the upstream Kuroshio Extension associated with standing oscillations. J. Geophys. Res., 106(C8), 16685-16692. 28) 8 H. Yoshinari, I. Yasuda, S. Ito, E. Firing, Y. Matsuo, O. Kato, and Y. Shimizu, 2001, Meridional transport of the North Pacific Intermediate Water in the Kuroshio-Oyashio interfrontal zone. Gephysical Research Letters, 28, 3445-3448. 29) 12 23) H. Ueno and I. Yasuda, 2001, Warm and saline water transport to the North Pacific Subarctic region: WOCE and SAGE data analysis. Journal of Geophysical Research 106(C10), 22131-22141. 30) 17 17) Y. Hiroe, I. Yasuda, K. Komatsu, K. Kawasaki, T.M. Joyce and F. Bahr, 2002: Transport of the North Pacific Intermediate Water in the Kuroshio-Oyashio Interfrontal zone. Deep-Sea Research II, 49, 5353-5364. 31) 27 13) I. Yasuda, S. Kouketsu, K. Katsumata, M. Ohiwa, Y. Kawasaki and A. Kusaka, 2002: Influence of intermediate Okhotsk Sea water on the Oyashio and North Pacific Intermediate Water. Journal of Geophysical Research, 107(C12), 3237, doi:10.1029/2001JC001037. 32) 7 M. Noto and I. Yasuda, 2003: Empirical biomass model for the Japanese sardine with sea surface temperature in the Kuroshio Extension. Fisheries Oceanography, 12, 1-9. 33) 13 24) Y. Shimizu, I. Yasuda, S. Ito and K. Hanawa, 2003: ADCP-referenced Kuroshio and Oyashio water transports for the North Pacific Intermediate Water formation. Journal of Physical Oceanography, 33, 220-233. 34) 4 R. Inoue, J. Yoshida, Y. Hiroe, K. Komatsu, K. Kawasaki and I. Yasuda, 2003: Modification of North Pacific Intermediate Water around Mixed Water Region. Journal of Oceanography, 59, 211-224. 35) 59 4) I. Yasuda, 2003: Hydrographic structure and variability of the Kuroshio-Oyashio Transition Area. 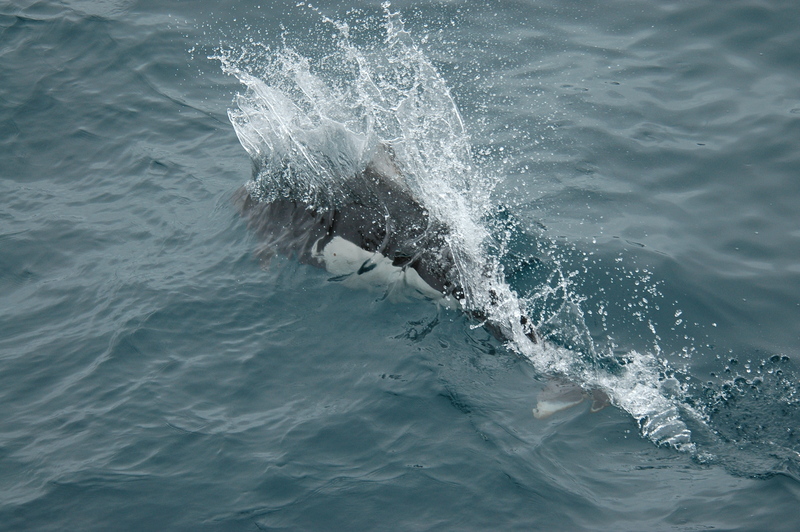 Journal of Oceanogarphy, 59, 389-402. 36) 7 T. Ono, K. Sasaki and I. Yasuda, 2003: Re-estimation of annual anthropogenic carbon input from Oyashio into North Pacific Intermediate Water. Journal of Oceanography, 59, 883-891. 37) 16 20) M. Masujima, I. Yasuda, Y. Hiroe and T. Watanabe, 2003: Transport of Oyashio water across the Subarctic Front into the Mixed Water Region and formation of NPIW. Journal of Oceanography, 59, 855-869. 40) 9 I. Yasuda, 2004: North Pacific Intermediate Water: Progress in SAGE and related projects. Journal of Oceanography, 60(2), 385-396. 41) 11 26)K. Uehara, S. Ito, H. Miyake, I. Yasuda, Y. Shimizu and T. Watanabe, 2004: Absolute volume transport of the Oyashio referred to moored current meter data crossing the OICE. Journal of Oceanography, 60(2), 397-410. 42) 9 S. Ito, K. Uehara, T. Miyao, H. Miyake, I. Yasuda, T. Watanabe and Y. Shimizu, 2004: Characteristics of altimetry SSH anomaly of TOPEX/POSEIDON on the OICE line and its relation for meseared velocity and transport in the Oyashio region. Journal of Oceanography, 60(2), 411-424. 43) 5 Y. Shimizu, T. Iwao, I. Yasuda, S. Ito, T. Watanabe, K. Uehara, N. Shikama and T. Nakano, 2004: Formation process of North Pacific Intermediate Water revealed by profiling floats set to drift on 26.7sigma-theta isopycnal surface. Journal of Oceanography, 60(2), 439-452. 44) 3 K. Komatsu, Y. Hiroe, I. Yasuda, K. Kawasaki, T.M. Joyce, F. Bahr and Y. Kawasaki, 2004: Hydrographic structure and transport of intermediate water south of Japan. Journal of Oceanography, 60(2), 487-504. 46) 17 17) Tatebe H. and Yasuda I. 2004: Oyashio southward intrusion and cross-gyre transport related to diapycnal upwelling in the Okhotsk Sea. Journal of Physical Oceanography, 34, 2327-2341. 47) 7 Katsumata K., Ohshima K.-I., Kono T., Itoh M., Yasuda I., Volkov Y. and Wakatsuchi M., 2004: Water exchange and tidal currents through the Bussol Strait revealed by direct current measurements. Journal of Geophysical Research, 109, doi:10.1029/2003JC001864. 50) 0 H. Tatebe and I. Yasuda, 2005: Numerical experiments on the seasonal variation of the Oyashio southward intrusion. J. Phys. Oceanogr. 35, 2309-2326. 51) 4 H. Ueno and I. Yasuda, 2005: Temperature inversions in the North Pacific subarctic region. J. Phys. Oceanogr. 35, 2444-2456. 52) 14 22) H. Tokinaga, Y. Tanimoto, M. Nonaka, B. Taguchi, T. Fukamachi, S.-P. Xie, H. Nakamura, T. Watanabe and I. Yasuda (2006): Atmospheric sounding over the winter Kuroshio Extension: Effect of surface stability on atmospheric boundary layer structure. Geophys. Res. Letters, 33, L04703, doi:10.1029/2005GL025102. 53) 17 17) I. Yasuda, S. Osafune and H. Tatebe, 2006: Possible explanation linking 18.6-year period nodal tidal cycle with bi-decadal variations of ocean and climate in the North Pacific. Geophys. Res. Letters, 33, L08606, doi:10.1029/2005GL025237. 54) 12 24) S. Osafune, and I. Yasuda, 2006: Bidecadal variability in the intermediate waters of the northwestern subarctic Pacific and the Okhotsk Sea in relation to 18.6-year perioid nodal tidal cycle. J. Geophys. Res., 111, C05007, doi:10.1029/2005JC003277. 55) 5 S. Kouketsu, I. Yasuda and Y. Hiroe, 2007: Three-dimensional structure of frontal waves and associated salinity minimum formation along the Kuroshio Extension. J. Phys. Oceanogr., 37, 644-656. 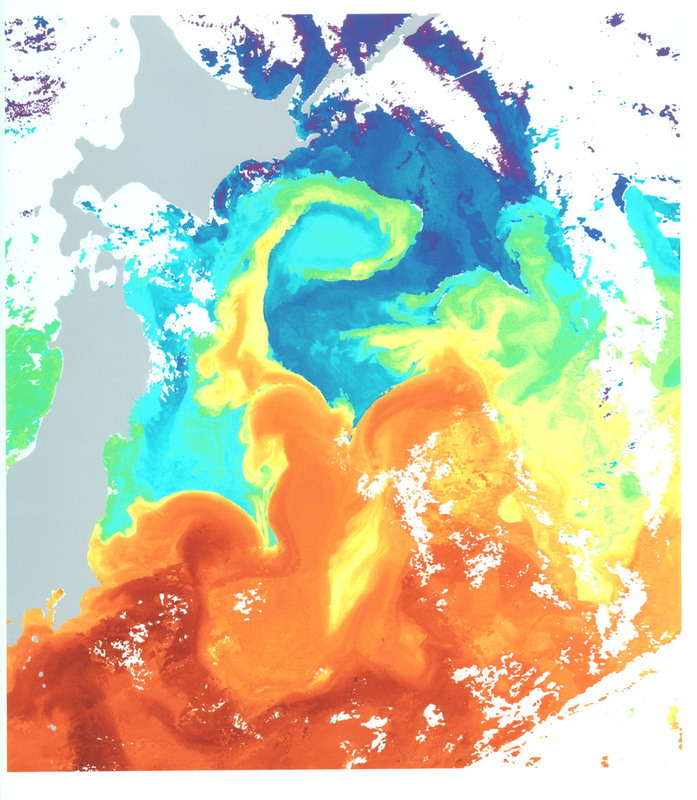 56) 1 I. Yasuda and T. Watanabe, 2007: Chlorophyll a variation in the Kuroshio Extension revealed with a mixed layer tracking float: implication on long-term change of Pacific saury. Fish. Oceanogr., 16(5), 482-488. 58) 1 H. Nishikawa and I. Yasuda, 2008: Variation of Japanese sardine (Sardinops melanostictus) mortality in relation to the winter mixed layer in the Kuroshio Extension. Fish. Oceanogr. 17(5), 411-420. 60) Yasuda, I. 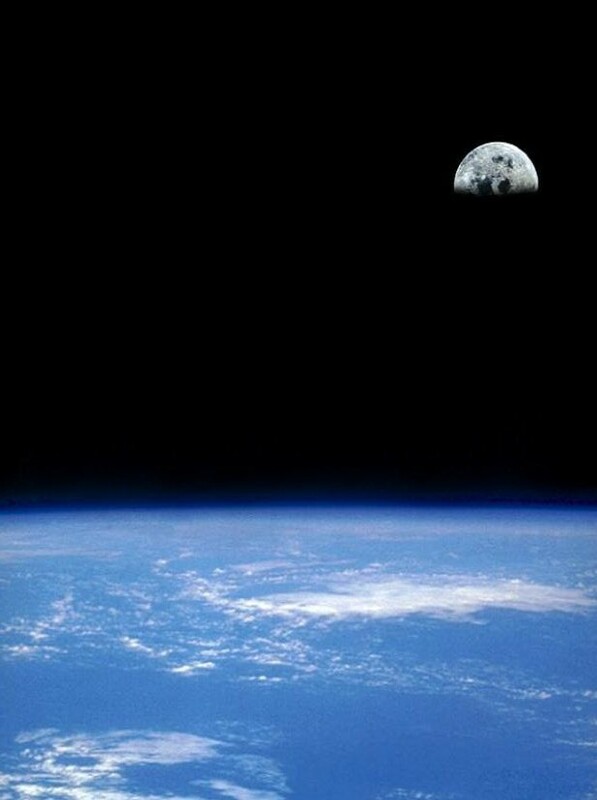 (2009), The 18.6-year period moon-tidal cycle in Pacific Decadal Oscillation reconstructed from tree-rings in western North America, Geophys. Res. Lett., 36, L05605, doi:10.1029/2008GL036880. 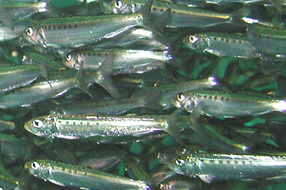 61) 1 Itoh, S., I. Yasuda, H. Nishikawa, H. Sasaki and Y. Sasai (2009), Transport and environmental temperature variability of eggs and larvae of the Japanese anchovy (Engraulis japonicus) and Japanese sardine (Sardinops melanostictus) in the western North Pacific estimated via numerical particle tracking experiments. Fish. Oceanogr., 18(2), 118-133. 63) M. Masujima and I. Yasuda, 2009: Distribution and modification of North Pacific Intermediate Water around the Subarctic frontal zone east of 150E. J. Phys. Oceanogr.,39, 1462-1474. 65) S. Osafune, and I. Yasuda, 2010:Bidecadal variability in the Bering Sea and the relation with 18.6year perioid nodal tidal cycle. J. Geophys. Res., 115, DOI: 10.1029/2008JC005110. 66) H. Tatebe, I. Yasuda, H. Saito and Y. Shimizu, 2010: Horizontal transport of the calanoid copepod Neocalanus in the North Pacific: The influences of the current system and the life history. Deep-Sea Res. I, 57, 409-419. 67) K. Katsumata and I. Yasuda, 2010, Estimate of non-tidal exchange transport between the Sea of Okhotsk and the North Pacific. J. Oceanogr., 66, 489-504. 68) S. Itoh and I. Yasuda, 2010: Characteristics of mesoscale eddies in the Kuroshio-Oyashio Extension regions detected from the distribution of the sea surface height anomaly. J. Phys. Oceanogr., 40, 1018-1034. 70) S. Itoh and I. Yasuda, 2010 Water mass structure of warm and cold anticyclonic eddies in the western boundary region of the subarctic North Pacific. J. Phys. Oceanogr., 40, 2624-2642. 71) S. ITOH, T. SARUWATARI, H. NISHIKAWA, I. YASUDA, K. KOMATSU, A. TSUDA, T. SETOU, and M. SHIMIZU, Environmental variability and growth histories of larval Japanese sardine (Sardinops melanostictus) and Japanese anchovy (Engraulis japonicus) near the frontal area of the Kuroshio. Fish. Oceanogr., 20(2), 114-124. 72) S. Itoh, Y. Shimizu, S-I Ito, and I. Yasuda (2011) Evolution and Decay of a Warm-Core Ring within the Western Subarctic Gyre of the North Pacific, as Observed by Profiling Floats. J. 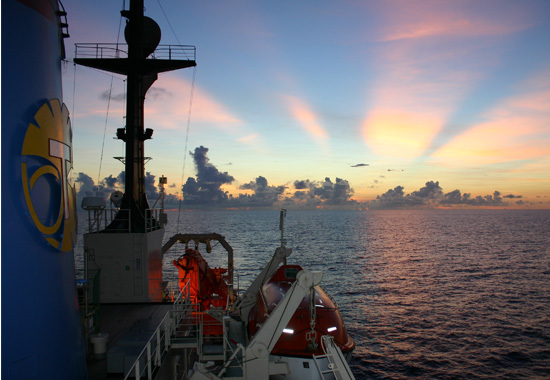 Oceanogr., DOI 10.1007/s10872-011-0027-2. 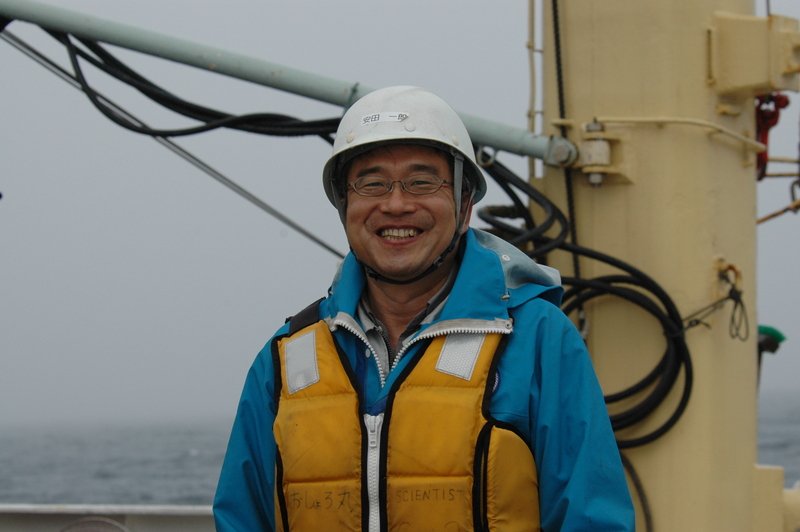 74) H. Nishikawa and I. Yasuda (2011) Long-term variability of winter mixed layer depth and temperature along the Kuroshio jet in a high-resolution ocean general circulation model. J. Oceanogr. 67(4), 503?518. 44)伊藤進一，植原量行,加藤修,清水勇吾,安田一郎,高杉知,石川孝,神谷ひとみ,川崎清,広江豊,小松幸生,小埜恒夫,三宅秀夫,倉賀野連,2000,襟裳岬沖親潮集中観測線(OICE)における親潮流量モニタリング計画，Proceedings of Workshop on the Satellite Altimetry in 21th century. Edited by S. Imawaki, 97-106. 45)Noto, M. and I. Yasuda, 2000,Modeling the transport of Japanese Sardine eggs, larvae and juveniles in the Kuroshio and the Kuroshio Extension in 1987 and 1988. Proceedings of Workshop on the Satellite Altimetry in 21th century. Edited by S. Imawaki, 117-128. 58)谷津明彦他（2007）水産海洋シンポジウム要旨　水産海洋研究　71(3) 20 9-224. I. Yasuda, T. Tozuka, M. Noto, and S. Kouketsu, Heat balance and regime shifts of the mixed layer in the Kuroshio Extension., Western Pacific Geophysical Meeting, American Geophysical Union, Tokyo, Japan, 26 July, 2000. I. Yasuda, The Kuroshio and Oyashio current system: variability and impacts on ecosystem. PICES XIV Science Board symposium. Oct. 17, 2006, Yokohama, Japan.